Petraeus: "..at the end of the day, this is not about me"
This week’s confirmation hearing for General David Petraeus left plenty to chew over. It is a foregone conclusion that he will stroll into the job that he now says he has been angling for over the past year - CIA Director. But a lot of the questions before the Senate Intelligence Committee Thursday focused on his present role as the U.S. commander in Afghanistan and especially what advice he provided to President Obama on the drawdown of U.S. forces there. Petraeus acknowledged the President came up with “a more aggressive formulation” than he had proposed – diplospeak for taking out more troops on a faster timetable than he and his fellow generals wanted. But Petraeus also seemed to be musing aloud about how far – and how publicly - a U.S. military leader should object to a policy. He was nudged along this line of thought by Senate Armed Services Committee Chairman Carl Levin, a Democrat who is also a special member of the Intelligence Committee. 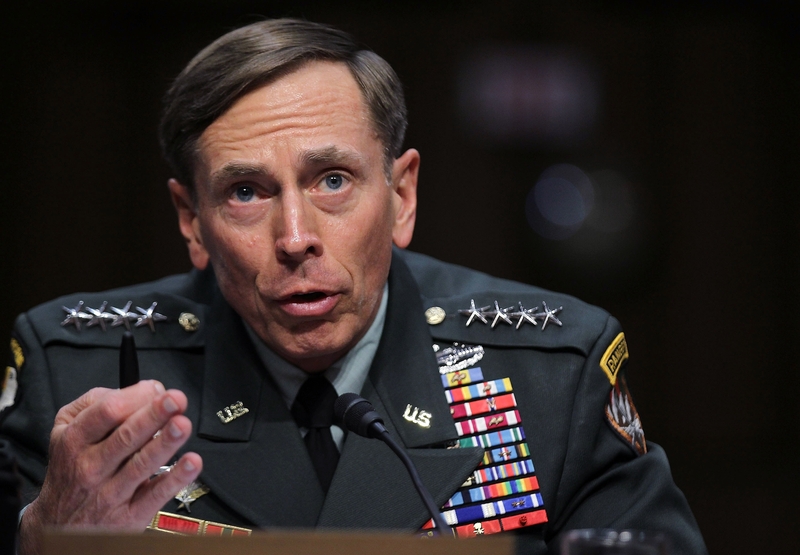 He asked Petraeus whether, if he couldn’t support the ultimate decision by the Commander in Chief, he would resign. A commander would only consider that kind of step in a “very, very dire situation,” he said. “This is not something I think where one hangs up the uniform in protest or something like that,” Petraeus added.